Simpler Giving In the Palm of Your Hand! If you follow us on social media, you’ve probably seen multiple posts about Givi… we couldn’t contain our excitement! Simply put, Givi is a mobile donation app. We developed Givi so organizations could provide one-click giving for their donors right on their mobile devices. We know convenience is important and that life can get hectic. With Givi, donors can be generous on the go! Let’s take a peek at what Givi is and how easy it is to use. So, you’ve downloaded the app. What now? You can now create an account and store a payment method. This means you can quickly give to your preferred organization without entering your card information ever again. It’s endlessly frustrating trying to type out long credit card numbers on a tiny keyboard! 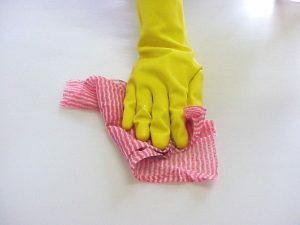 Now you only have to do it once! Have a favorite organization? In the search bar, look it up and add it as a favorite. 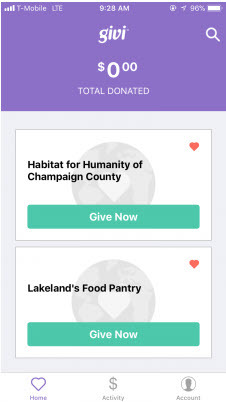 Once you tap the heart to add an organization as a favorite, you can access the organization’s Givi profile from their home screen and donate in a flash. 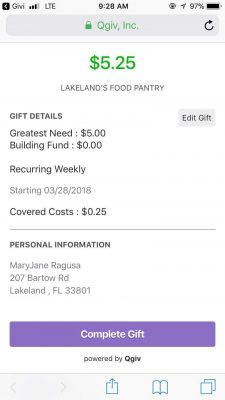 Look how easy it is to donate right from the home screen! 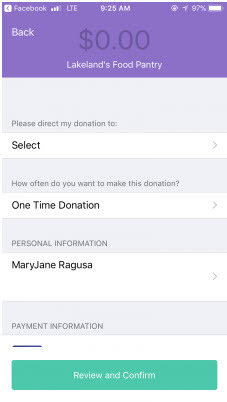 You can even opt to direct a donation to one or multiple programs within the organization, depending upon their settings. Here’s a neat feature: you can manage recurring donations! With just a couple of taps, you can update your recurring payment amount, frequency, or payment method. 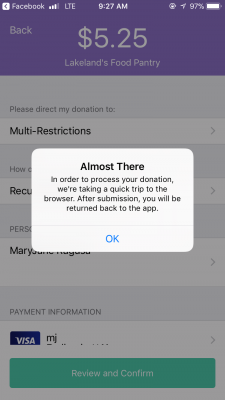 If you ever need to pause your donation, a simple tap of a toggle takes care of that (you can resume it the same way). 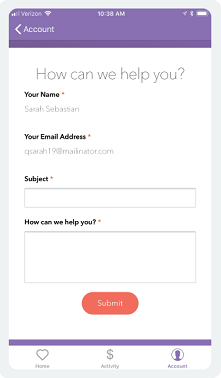 Before you complete a donation, you’ll be able to review all of your selections and ensure the information is correct. You’ve confirmed all the details and this message pops up. This might be where you have a question—why are you being taken to the browser? 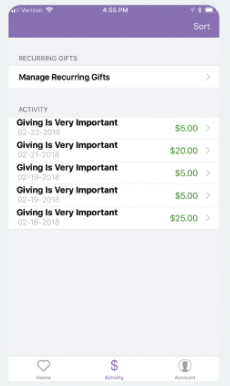 Apple and Google only allow approved nonprofits to collect funds from apps for charities and fundraisers. Since we’re a third party, we’re required to process all funds outside of the app in a browser. Don’t worry, your info is safe and secure! Once you’re brought back to the app, you can complete the gift! Boom, that’s it. How easy (and fast) was that?! Keeping track of how much you’ve given to an organization can get kind of hectic. That’s why we put an activity section in Givi! 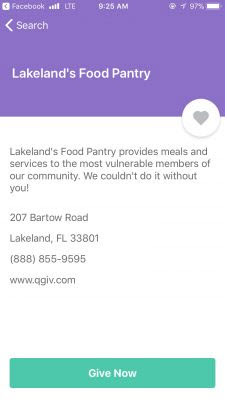 You can access a list of all donations made to Qgiv organizations via the Givi app and, with one tap, view an online donation receipt. 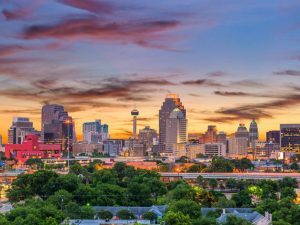 You’ll be able to see the donation amount, personal and payment information, if the donation was directed to a certain program or fund, information about whether it was one-time or recurring, and if you used GiftAssist to offset processing costs. No more sorting through emails trying to remember when (and to whom!) you gave a $100 donation! Still have questions? Check out the handy-dandy FAQ page accessible on Givi’s website. Don’t see the issue listed on the FAQ page? Support is a click away! What more could you ask for? 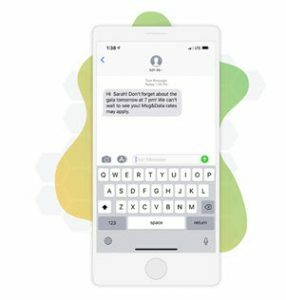 It’s free, easy to use, and comes with amazing customer support. Get Givi(ng) today—we promise you won’t regret it!